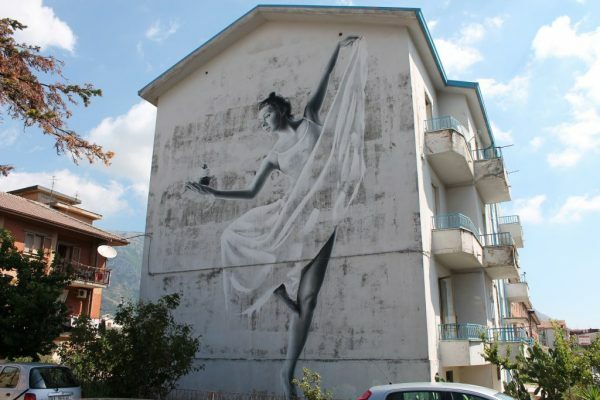 Sasha Korban created his mural „Harmony“ for the Wall We Trust International Street Art Festival in a picturesque town of Airola near Napoli. 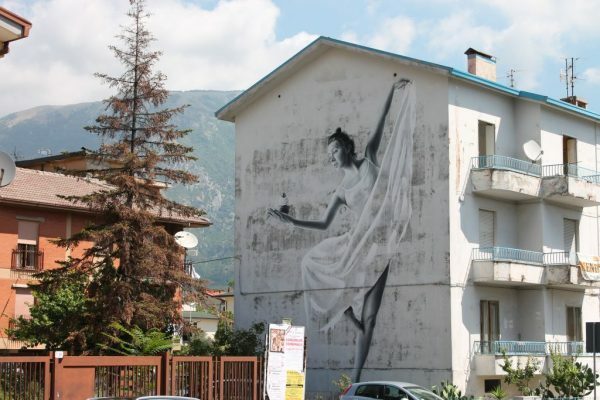 It took him five days creating his work of art – with which he is trying to show the importance of harmony and balance in everything in life, as well as inside oneself. 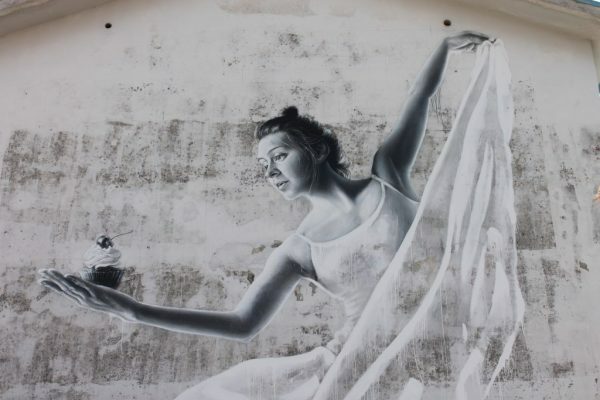 The whole wall is used to show us a beautiful young woman, wearing a delightful, white dress – captured in a dancers pose, holding a cherry-cupcake in her right hand. The artists only uses black and white – working with shadow and light in an extravagant way, which makes this painting look quite real. You might want to get over there, taking the cupcake out of her hand. 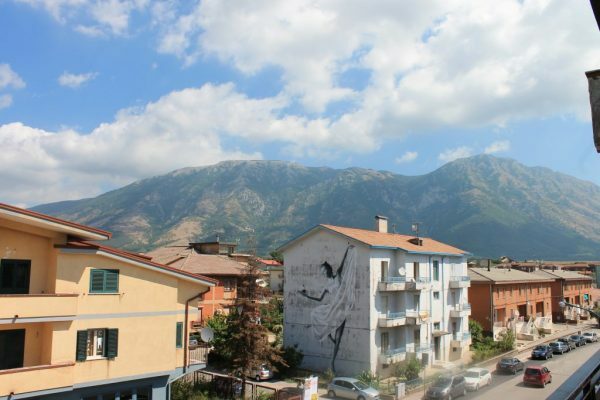 Veröffentlicht in contemporary art, Exhibitions, Festivals, Graffiti, Murals, Projects, street art, urban artGetaggt mit exhibition, graffiti, international street art festival, italy, murals, painting, project, sasha korban, streetart, urbanartBookmark the permalink.